Welcome to the Ashburton Manor HoA Website, which provides essential information to HoA members, including details about upcoming events and HoA activities. Suggestions, tips, and ideas always welcome. 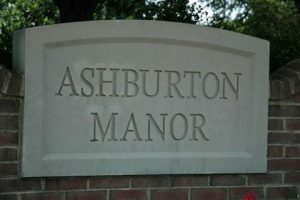 Ashburton Manor is a community of 81 single family homes located in western Fairfax County. We’re located midway between Route 66 and the Dulles Toll Road. Downtown Herndon is just minutes away, as is the Reston Town Center, Fair Oaks Mall, and Dulles Airport. Our common area includes walking paths and streams, two surfaced tennis courts, a full sized basketball/multipurpose court, and playground equipment for older and younger children.